Starting in 1999, professors from Stanford and California Polytechnic universities established a standard for nanosatellites. They devised a modular system, with nominal units (1U cubes) of 10x10x10 centimeters and 1kg weight. CubeSats grow in size by the agglomeration of these units – 1.5U, 2U, 3U, 6U and so on. Since CubeSats can be built with commercial off-the-shelf parts, their development made space exploration accessible to many people and organizations, especially students, colleges, and universities. Increased access also allowed various countries – including Colombia, Poland, Estonia, Hungary, Romania and Pakistan – to launch CubeSats as their first satellites and pioneer their space exploration programs. 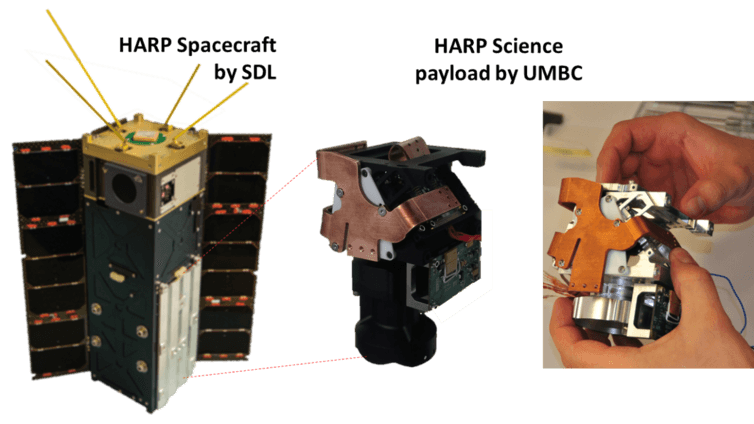 These advanced nanosatellite payloads mean SmallSats have grown up and can now help increase our knowledge about Earth and the universe. This revolution is well underway; many governmental organizations, private companies, and foundations are investing in the design of CubeSat buses and payloads that aim to answer specific science questions, covering a broad range of sciences including weather and climate on Earth, space weather and cosmic rays, planetary exploration and much more. They can also act as pathfinders for bigger and more expensive satellite missions that will address these questions. HARP spacecraft and payload at different stages of development. Pollution particles lead to precipitation changes. When sunlight interacts with aerosol particles or cloud droplets in the atmosphere, it scatters in different directions depending on the size, shape, and composition of what it encountered. HARP will measure the scattered light that can be seen from space. 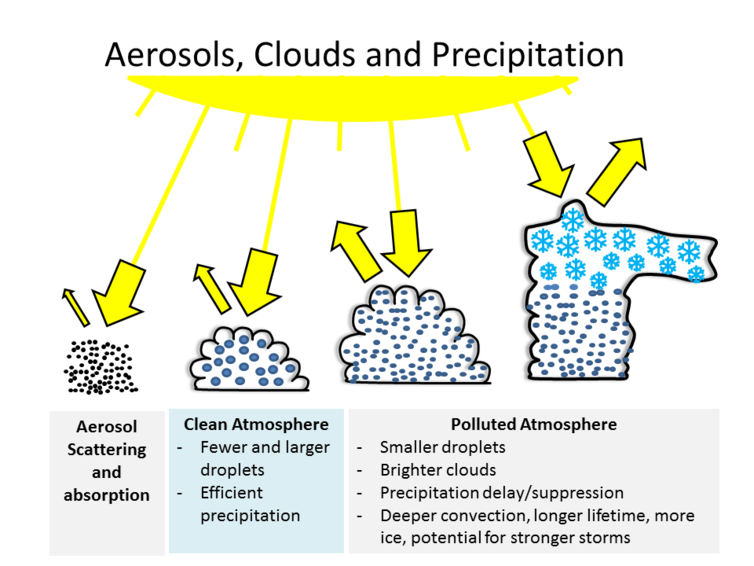 We’ll be able to make inferences about amounts of aerosols and sizes of droplets in the atmosphere, and compare clean clouds to polluted clouds.